Despite low ratings, NBC renewed Rock Center with Brian Williams for a second season. Will they improve? Will the show be cancelled? We’ll have to wait and see. This news program is hosted by NBC Nightly News anchor Brian Williams, with support from various news veterans like Harry Smith, Kate Snow, Ted Koppel, Meredith Vieira, Richard Engel, Nancy Snyderman, Matt Lauer, Ann Curry, and Natalie Morales. Rock Center with Brian Williams typically airs on Thursday or Friday nights on the NBC network. Below are the TV show’s latest ratings for 2012-13 season, the best way to tell if Rock Center with Brian Williams is going to be cancelled or renewed for a third season. Final season averages: 1.0 rating in the 18-49 demographic with 4.15 million total viewers. 0.9 in the demo (0% change) with 4.52 million (0% change). Season averages: 1.02 in the demo with 4.15 million. 0.9 in the demo (-10% change) with 4.54 million (-3% change). Season averages: 1.02 in the demo with 4.14 million. 1.0 in the demo (-17% change) with 4.69 million (-10% change). Season averages: 1.02 in the demo with 4.13 million. 1.2 in the demo (+33% change) with 5.20 million (+30% change). Season averages: 1.02 in the demo with 4.11 million. 0.9 in the demo (-31% change) with 4.00 million (-21% change). Season averages: 1.02 in the demo with 4.08 million. 1.3 in the demo (+8% change) with 5.04 million (+5% change). 1.2 in the demo (+9% change) with 4.78 million (+15% change). Season averages: 1.01 in the demo with 4.05 million. UPDATE: NBC has cancelled this low-rated news program. 1.1 in the demo (+22% change) with 4.16 million (+11% change). Season averages: 1.01 in the demo with 4.02 million. 0.9 in the demo (-53% change) with 3.75 million (-45% change). Season averages: 1.00 in the demo with 4.02 million. 1.9 in the demo (+138% change) with 6.84 million (+124% change). Season averages: 1.01 in the demo with 4.03 million. 0.8 in the demo (+14% change) with 3.05 million (-8% change). Season averages: 0.97 in the demo with 3.92 million. 0.7 in the demo (-13% change) with 3.32 million (-20% change). Season averages: 0.98 in the demo with 3.96 million. 0.8 in the demo (0% change) with 4.16 million (+11% change). Season averages: 0.99 in the demo with 3.98 million. 0.8 in the demo (+33% change) with 3.74 million (+34% change). Season averages: 1.00 in the demo with 3.97 million. 0.6 in the demo (-33% change) with 2.80 million (-25% change). Season averages: 1.01 in the demo with 3.99 million. 0.9 in the demo (-10% change) with 3.75 million (-11% change). Season averages: 1.03 in the demo with 4.04 million. 1.0 in the demo (0% change) with 4.21 million (-6% change). Season averages: 1.03 in the demo with 4.06 million. 1.0 in the demo (-9% change) with 4.46 million (-7% change). Season averages: 1.04 in the demo with 4.05 million. 1.1 in the demo (-8% change) with 4.81 million (-9% change). Season averages: 1.04 in the demo with 4.03 million. 1.2 in the demo (+50% change) with 5.31 million (+43% change). Season averages: 1.04 in the demo with 3.98 million. 0.8 in the demo (-27% change) with 3.72 million (-16% change). Season averages: 1.03 in the demo with 3.90 million. 1.1 in the demo (0% change) with 4.41 million (+17% change). Season averages: 1.04 in the demo with 3.91 million. 1.1 in the demo (+38% change) with 3.77 million (+8% change). Season averages: 1.04 in the demo with 3.87 million. 0.8 in the demo (-11% change) with 3.50 million (+2% change). Season averages: 1.03 in the demo with 3.88 million. 0.9 in the demo (-10% change) with 3.42 million (-5% change). Season averages: 1.05 in the demo with 3.91 million. 1.0 in the demo (+11% change) with 3.58 million (+4% change). Season averages: 1.06 in the demo with 3.96 million. 0.9 in the demo (-25% change) with 3.45 million (-13% change). Season averages: 1.07 in the demo with 3.99 million. 1.2 in the demo (+20% change) with 3.97 million (+3% change). Season averages: 1.09 in the demo with 4.05 million. 1.0 in the demo (-23% change) with 3.86 million (-20% change). Season averages: 1.08 in the demo with 4.06 million. 1.3 in the demo (+18% change) with 4.85 million (+30% change). Season averages: 1.09 in the demo with 4.09 million. 1.1 in the demo (+22% change) with 3.72 million (+7% change). Season averages: 1.05 in the demo with 3.97 million. 0.9 in the demo (-10% change) with 3.47 million (+2% change). Season averages: 1.04 in the demo with 4.02 million. 1.0 in the demo (+25% change) with 3.40 million (+9% change). Season averages: 1.08 in the demo with 4.16 million. 0.8 in the demo (-27% change) with 3.13 million (-24% change). Season averages: 1.10 in the demo with 4.41 million. 1.1 demo rating (-21% change) with 4.09 million (-32% change). Season averages: 1.25 in the demo with 5.04 million. 1.4 rating in the 18-49 demographic with 6.00 million total viewers. Season averages: 1.40 in the demo with 6.00 million. Reference point: The first season averaged a 1.2 rating in the 18-49 demographic and 3.54 million viewers. What do you think? 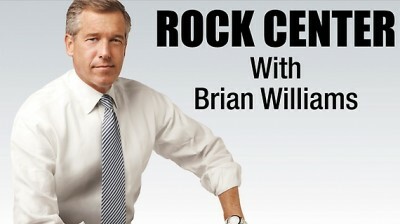 Do you like the Rock Center with Brian Williams TV series? Do you think NBC should stick with it for a third season? I agree, besides NBC’s “opinionated” news I also try to avoid any “news” program from Fox.